Stellar is a real-time global online platform that supports currency operations. It was founded in 2014 by Jed McCaleb the person behind the famous Mt. Gox exchange / co-founded Ripple, where he was the CTO with Joyce Kim (who has also worked in Ripple with Jed before). Stellar was initially designed on the Ripple protocol, so basically it can be seen as an offshoot of Ripple’s activity, as the source code of Stellar was based initially on the Ripple platform. Later, in 2015, the open-source protocol Stellar (with its own open-source code) has been developed. In the Stellar ecosystem, a special currency is being used, previously called Stellar, STR or star, but later has been renamed to lumen. One of the reasons for this change was to avoid any confusion between the platform Stellar with the currency Stellar (now lumen or XLM). “In 2015, with the launch of the upgraded network, the name of the native asset changed from stellar to lumen to distinguish it from 1) the Stellar network itself and 2) Stellar.org, the nonprofit organization that contributes to development of the network.” From the Stellar Website. In order to support the platform, a non-commercial fund called the Stellar Development Foundation (SDF) was emerged and was financed by the Stripe company. Ripple was and is still being heavily criticized for its enormous degree of centralization for the blockchain project, please see my previous article for more details about Ripple. Furthermore, Ripple’s code is not open source, although XRP Ledger was built on the Rippled source and is open source. Stellar, on the other hand, is truly open source and decentralized. Decentralization is based on the usage of nodes that work independently, which makes the whole system very stable. The Stellar Consensus Protocol is basically a type of an FBA (Federated Byzantine Agreement). In addition to being open source, Stellar is highly scalable: Stellar can process thousands of transactions per second. More details about the consensus protocol of Stellar can be found at the website. Another strong point, in my opinion, is that the technology SCP (Stellar Consensus Protocol), can process the exchange not only of fiat currencies and cryptocurrencies but also of coins/tokens and many other types of assets. Generally speaking, Stellar is relatively inexpensive and fast. Finally, Stellar now supports smart contracts, which are called SSC — Stellar Smart Contracts. average settlement time Stellar vs Ethereum: 5 seconds vs 2–5 minutes. Some people see Stellar as a fork of Ripple (which strictly speaking is 100% true), hence it’s debatable whether it was an original idea or a new fork with better conceptuality. Stellar’s team is much smaller than of Ripple; Stellar has also raised significantly less money that can be used for development, operations, and marketing. 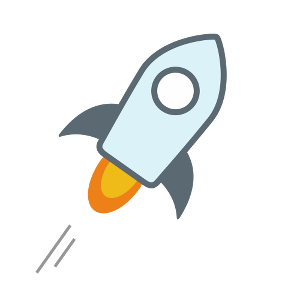 Stellar’s ratio of circulation supply of approximately XLM 19 billion of a total supply of XLM 104 billion, around 18%. So, if more coins will be added in circulation, this may cause unwanted price volatility. The percentage remains much smaller than the Ripple ratio which is XRP 41 billion/ XRP 99.99 billion = 41%. Finally, Stellar has not been significantly adopted yet. The most significant and known partnership up to date is just the one with IBM. Compared to Ripple, that has raised huge amounts of money (the most important event that happened in 2016, when Ripple raised $55 million from very solid organizations, including Google, Stellar has raised much less ($3 million for SDF from Stripe at the very beginning plus some other later rounds funding in the similar order of magnitude). Furthermore, Ripple can get cash injections by unlocking XPR it holds (currently holding XRP 60 billion @ currently around $0.358 for each XRP). Talking about the current situation, the price of XLM is currently (11:15 UTC 07/04/19) worth $0.128497 or BTC 0.00002493 with a market cap of around $2.5 billion and a circulation supply today of approximately 19 billion lumens. All these above place XLM as the 8th biggest crypto as of today. The inflation rate is set up at 1% p.a. The main direct competitor is Ripple. Stellar support SSC Stellar Smart Contracts, while Ripple does not, at least not at the time of this writing (April 2019). Ripple is ultra-centralized and works closely with big banks and financial institutions. Ripple is a much bigger company with significantly more employees and more cash for marketing and operations in general. Ripple also enjoys a much broader and higher adoption than Stellar, especially in we take into consideration partnerships with very big financial institutions. So, in terms of mass adoption Stellar is behind! Stellar is more focused on helping the unbanked in developing markets and to improve the efficiency of (and access to) financial services with the end goal to promote financial inclusion. Another point is that XLR coins are inflationary (1% p.a. ), which is in stark contrast to Ripple’s XRPs, that are strictly deflationary. Stellar | Explained was originally published in Data Driven Investor on Medium, where people are continuing the conversation by highlighting and responding to this story.